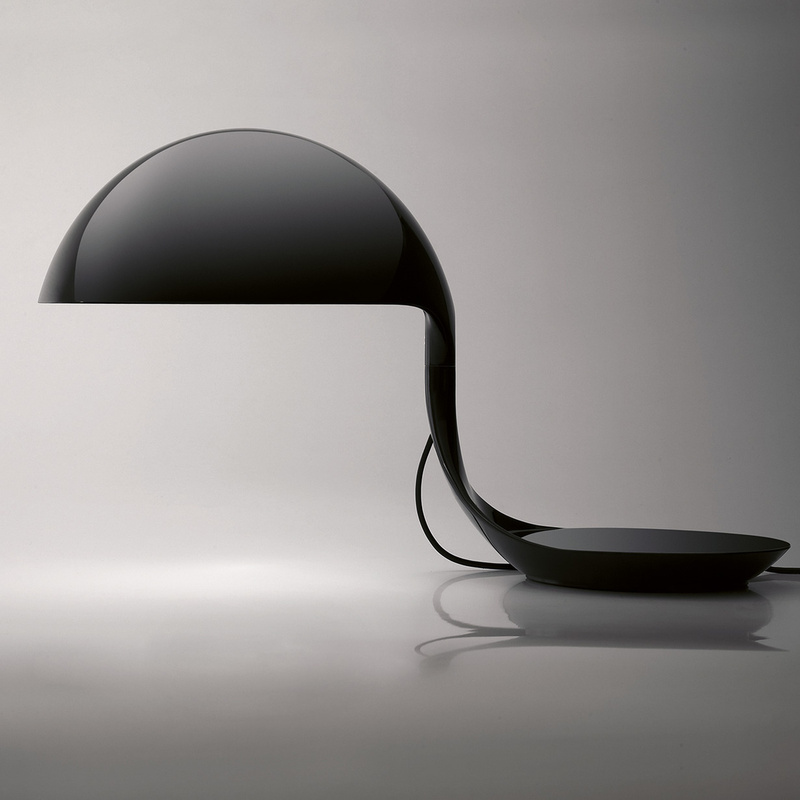 Cobra is a table lamp with direct light, characterized by a sinuous and dynamic shape, like the cobra that oscillates hypnotized by the music, but still ready to bite. 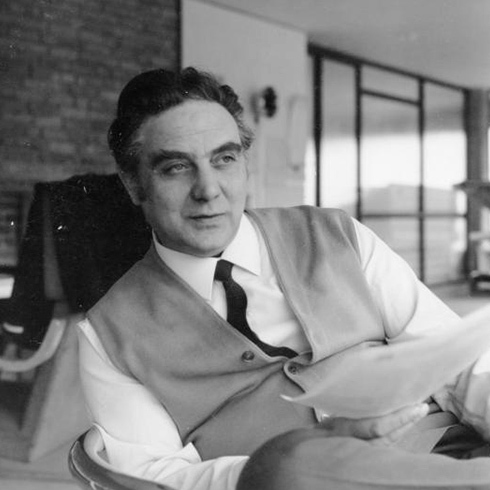 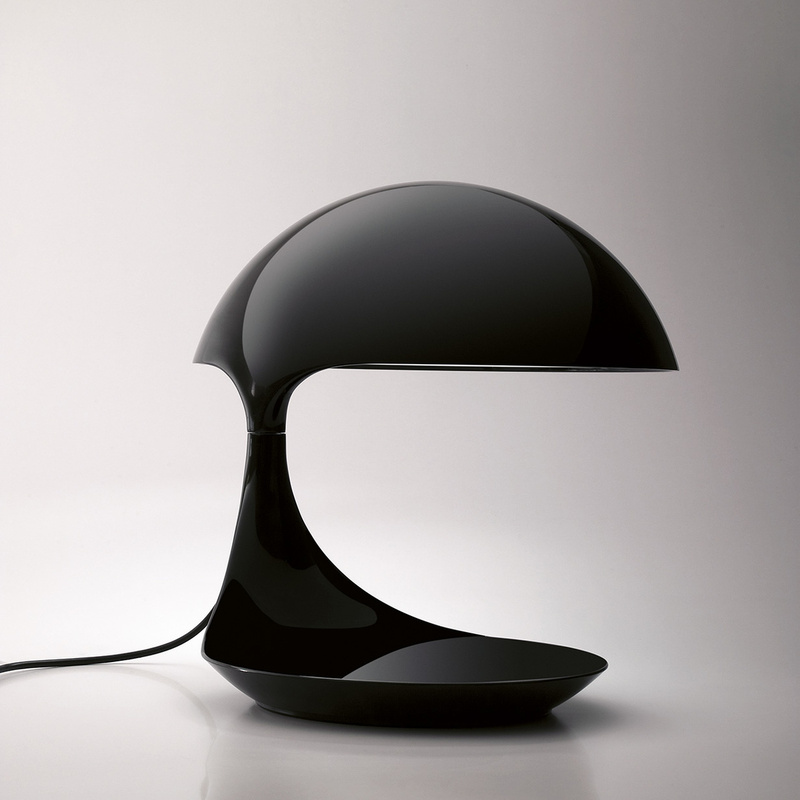 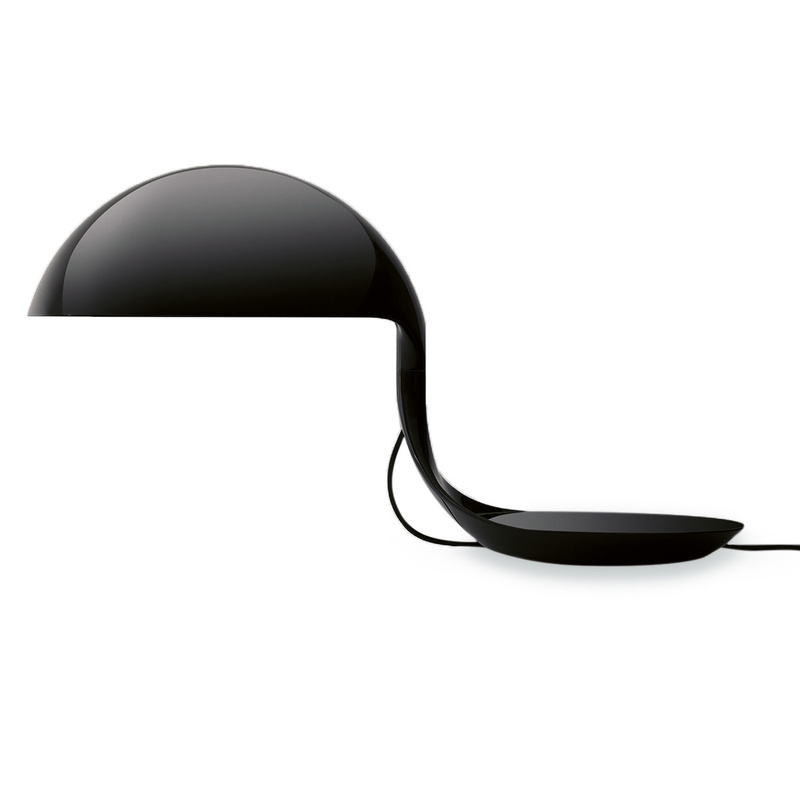 Designed by Elio Martinelli in 1968, the Cobra table lamp represents one of the first resin lighting fixtures produced with a particular molding system. 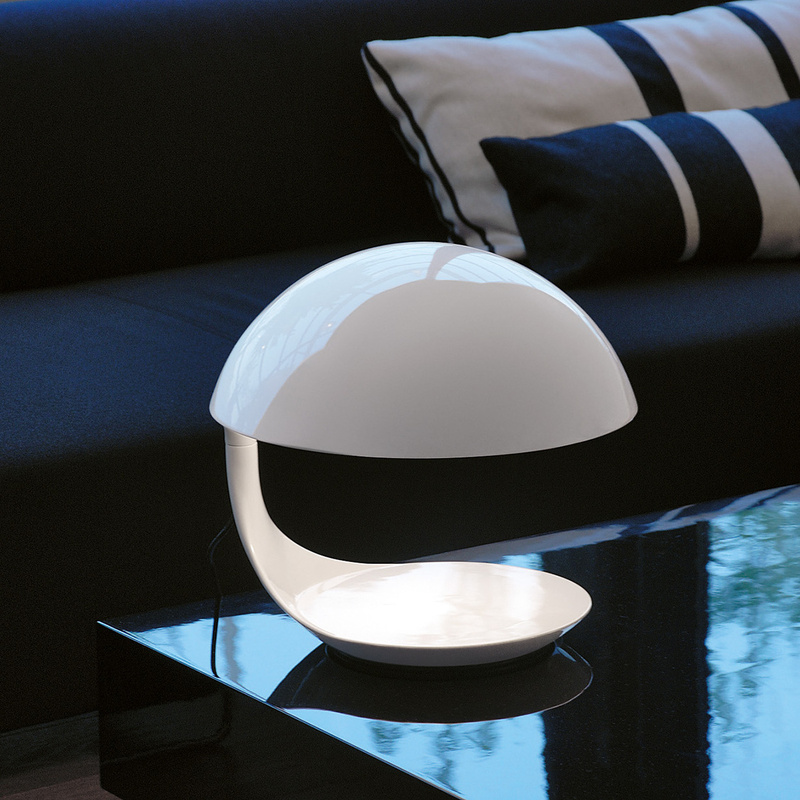 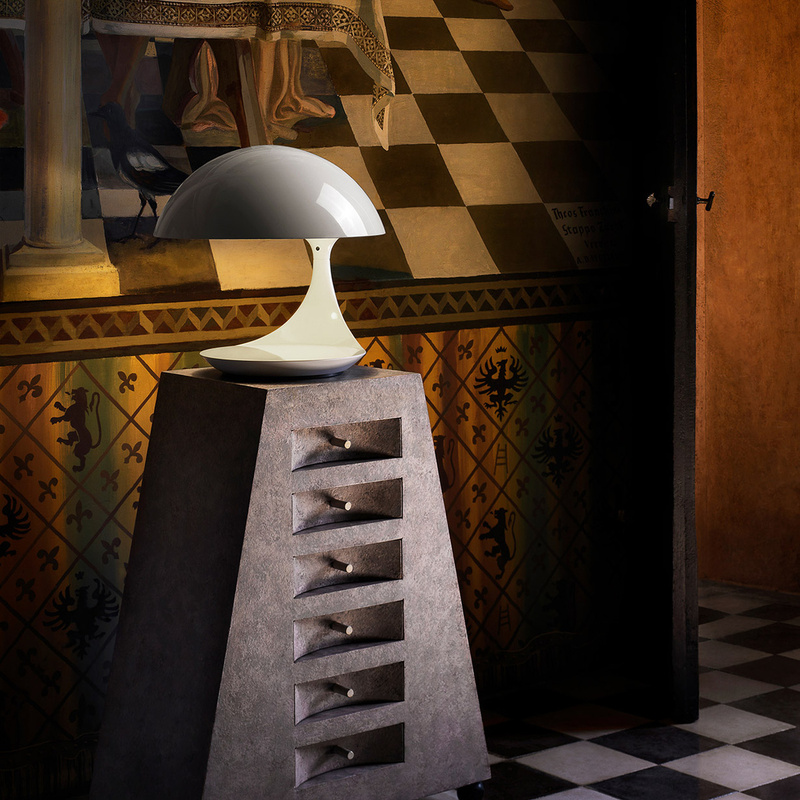 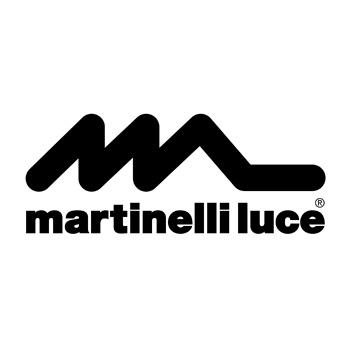 Still produced successfully by Martinelli Luce, it is a table lamp made up of a revolving base and an adjustable reflector on the top, made entirely of thermosetting resin. 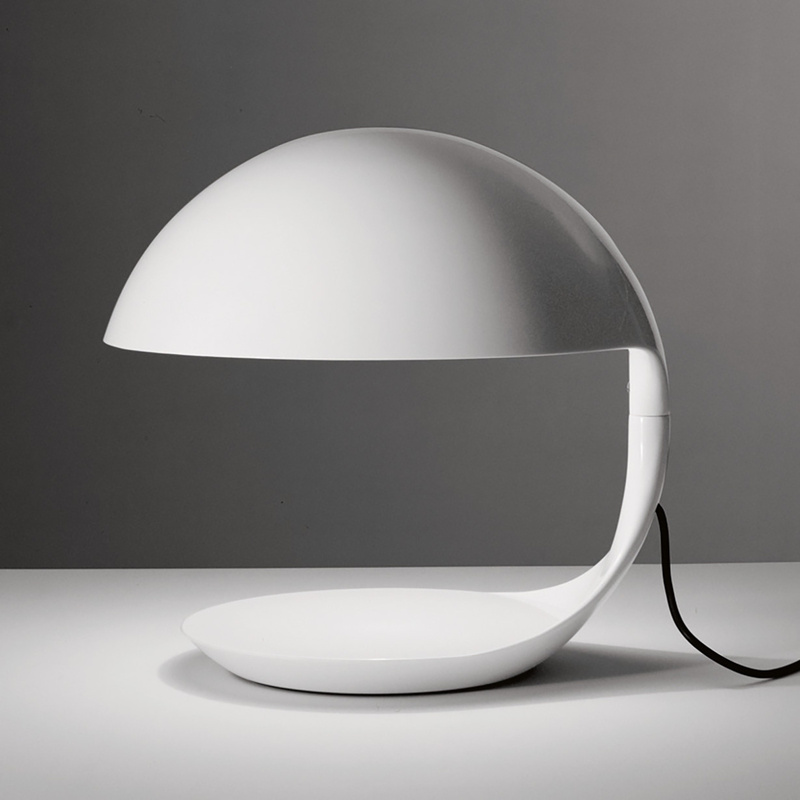 Cobra is characterized by the essential line design and a geometric shape inscribed in a sphere, but with the simple rotation of the arm, the reflector assumes a position that recalls the head of a cobra. 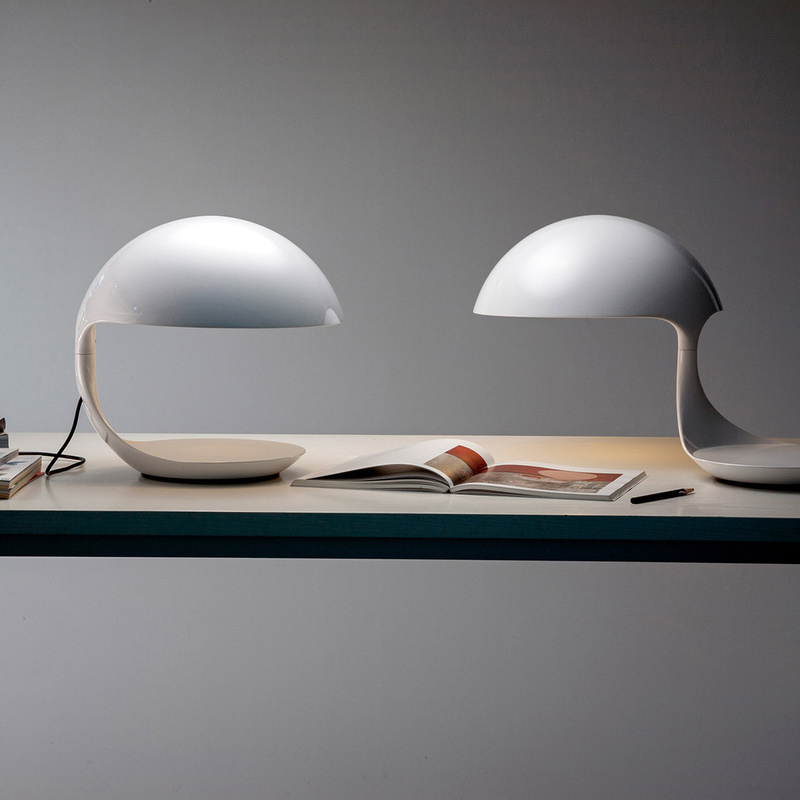 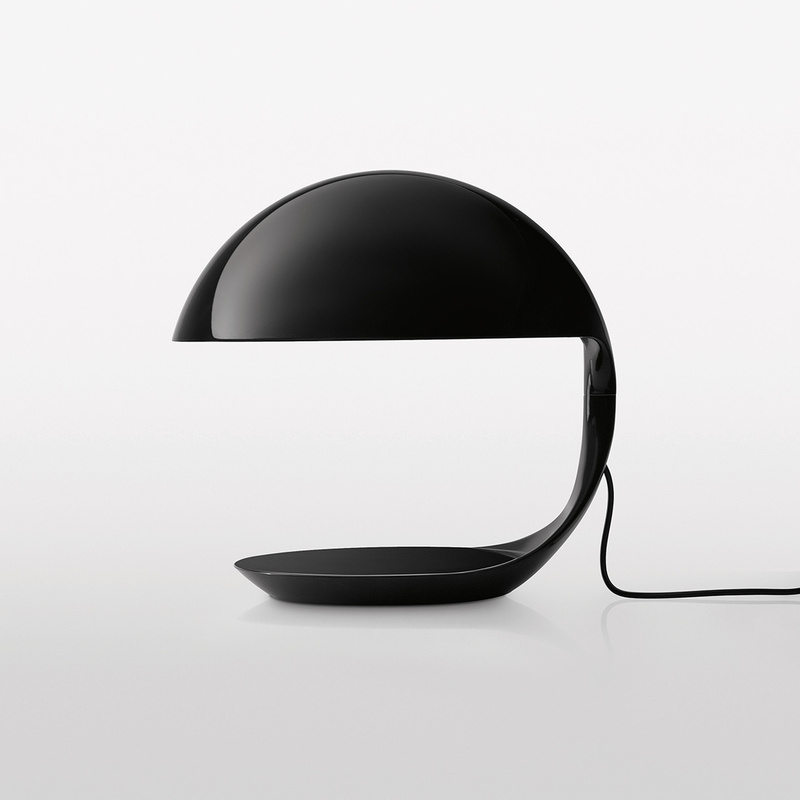 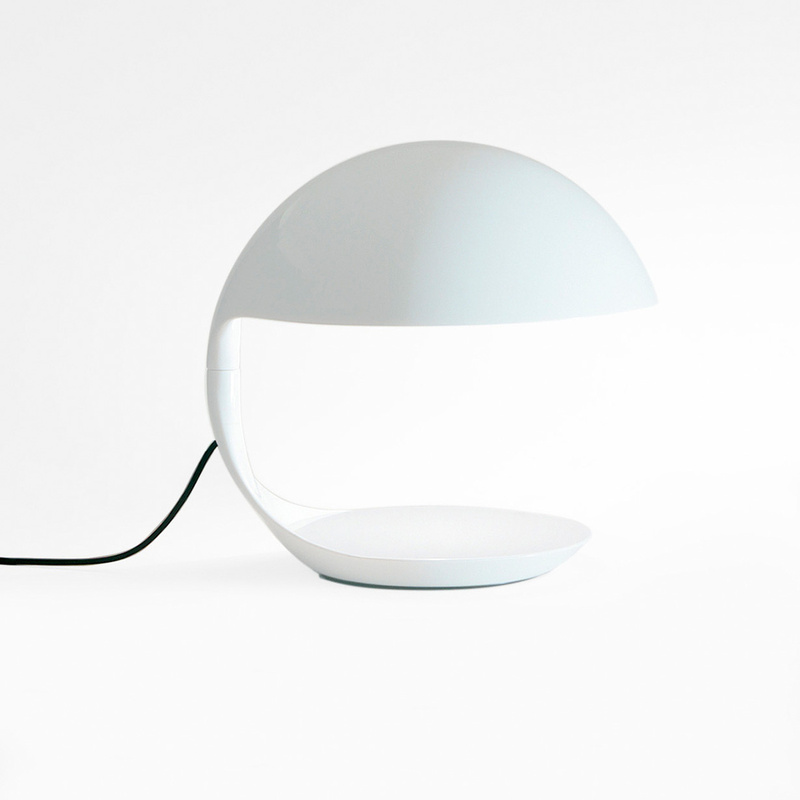 The upper part houses the light source, while the concave base can become a practical object holder. 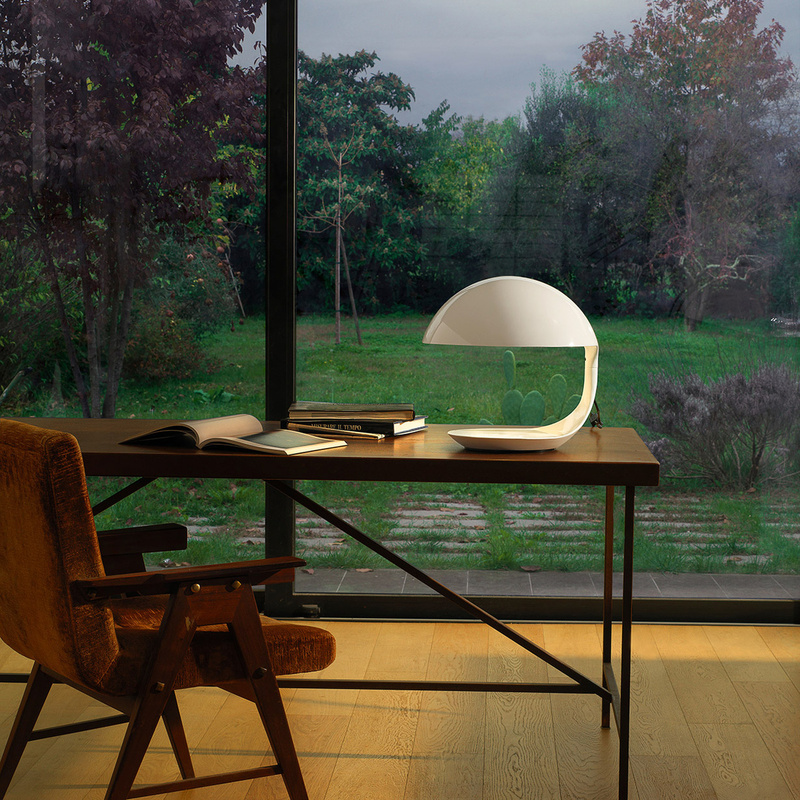 The light concentrated downwards allows to enhance a particular space of the environment with a strong but not intrusive presence. 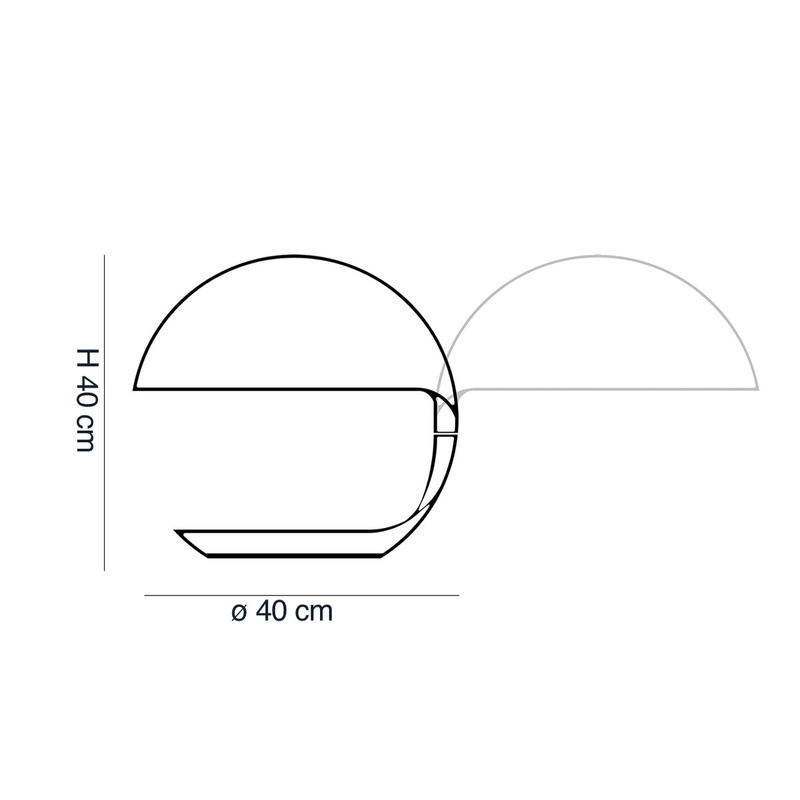 Technical information: bulb not included, recommended type 1 X12W E27 LED 230 V Energy Class A +. 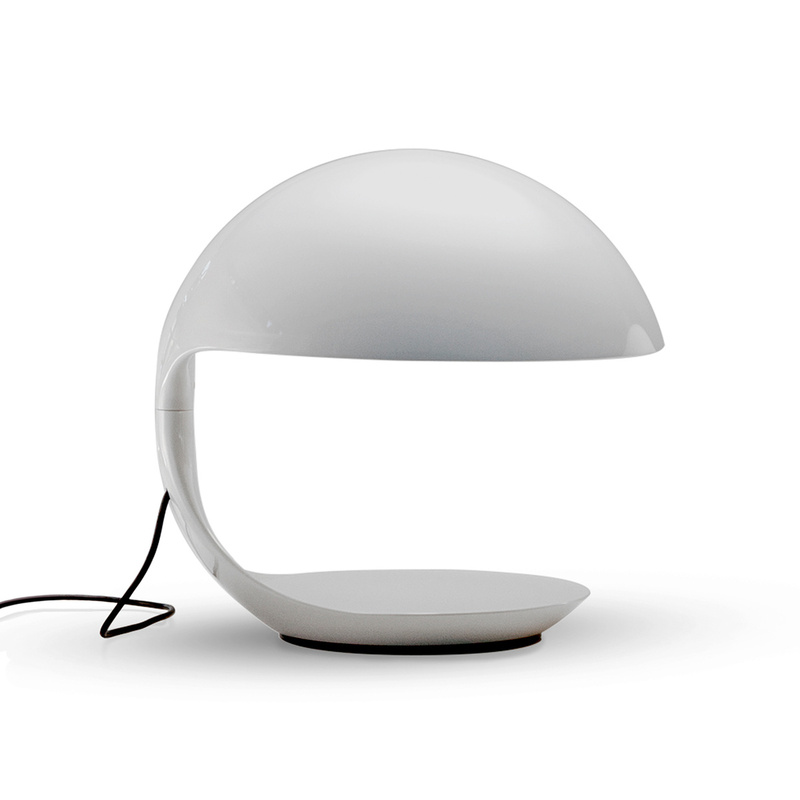 Equipped with an on / off switch, it has a 240 cm long cable. 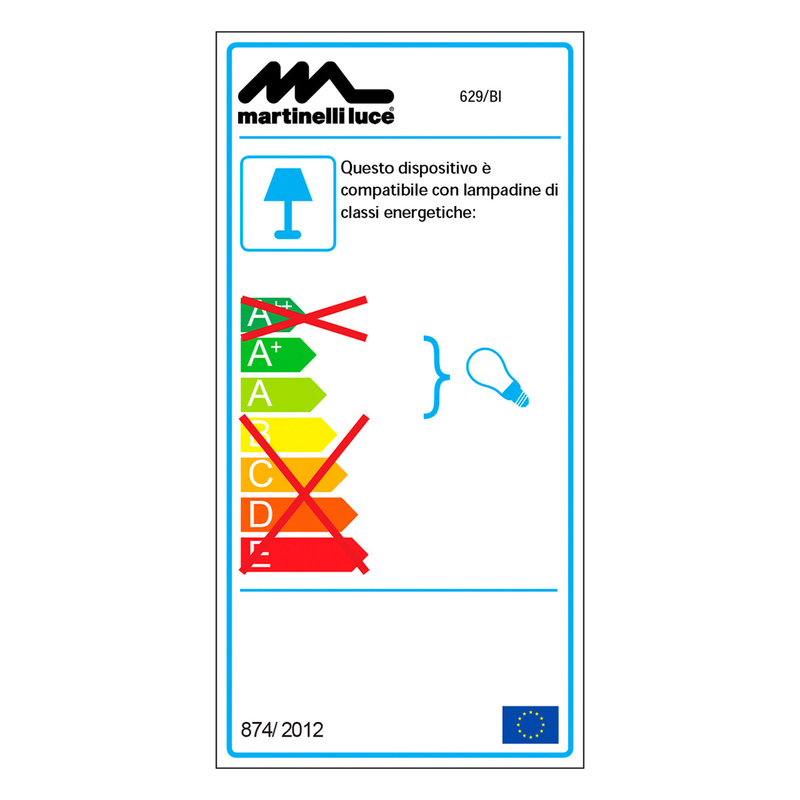 It has the CE - ENEC certification.